Artificial intelligence and deep learning have the potential to radically improve a number of functions in different industries and financial services is one of them. These technologies enable financial services companies and institutions to completely redefine how they work, how they create innovative new products and services, and how they transform customer experiences. One such company which is a pioneer in offering innovative solutions to the financial services industry is AAAccell. AAAccell stands for Academic excellence, Artificial intelligence, and Algorithmic power. AAAccell is a spin-off company of the University of Zurich. The team consists of two former bank CEO’s, former Big4 Partner, 11 professors and several PhD’s/Master’s from the University of Zurich, ETH, Columbia New York and other well-known Universities. AAAccell offers in-depth industry insights and understands the financial market with several years of experiences, innovative projects, and ambitious clients. The company offers its solutions in three suites, PSARM, a portfolio optimizer and risk monitoring solution for optimizing risk and return; REG-AI, a solution to evaluate illiquid assets and monitoring of risk and return; and fundguru for comparing actively managed funds by calculating risk and return. AAAccell serves leading financial institutions including UBS, CS, Rothschild (Orox), Zurich Insurances, SwissRe, SIX, EFG, Pension fund, several FinTechs, and Asset Managers. AAAccell developed over the last years a technology that is superior to the market standard. It is completely new and based on world-leading research in quantitative finance, artificial intelligence/machine learning, statistics and stochastics, econometrics and mathematics. The company transforms any investment portfolio of an institutional or private investor into a lower risk portfolio while simultaneously increasing the returns without changing the individual composition of the selected portfolio positions. Hence, clients benefit from massive lower risks and better returns (e.g. 30% risk p.a. while increasing returns + 5% p.a.). This invention was only possible owing to the massive increase in computational power and data access. The beauty of the innovation is not only credited to the mathematical complexity but also to the solved numeric and closed equations and the speed inside the algorithms. AAAccell is headed by Dr. Walter Farkas, Co-founder and Head Risk Management, Board President and Sandro Schmid, Co-founder, CEO and Board Member. Both Walter and Sandro have been working together in the financial service industry and academia over several years. Walter is a Professor, teaching Quantitative Finance, both at University of Zurich and ETH, and acted as an advisor for a Big4 where Sandro was a Partner heading the risk and performance department. He is also lecturing at the University of Zurich and SFI for many years. The company has seen that academia massively enhanced in this space in the last 10 years due to stronger computers (CPU, GPU), larger data and stronger methods. “We were convinced that many of these achievements will make the financial market a better, stronger, more reliable and safer place to be. That is why we founded AAAccell Ltd in 2014 as a spin-off company of the University of Zurich,” said Sandro. AAAccell uses artificial intelligence (AI), machine learning (ML) and deep learning in its solutions to help financial institutions produce better products such as investment portfolios, mutual funds, pension funds and insurance funds. 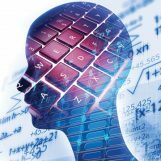 AI/ML is a complementary technology to classical methods such as quantitative finance, econometrics, statistics/stochastics and mathematics. Although the technology of AI/ML is often very convincing, it doesn’t mean that there is no other stuff that might solve a problem faster and better. AAAccell conducts extensive research and evaluates the benefit of AI/ML before it develops solutions for the financial industry. AAAccell is uniquely positioned to drive innovation with its integrated structure and collaborations with world-leading universities globally. The company runs, coordinates, guides, and controls every year numerous PhD’s/Master publications from very bright, fresh young people, combining the senior researcher background with the market issues. AAAccell sees this as one of the USP of the company. “Further, we have access internationally/nationally to leading researchers personally and work with their results. Since we are also running the Swiss Risk Association with about 10,000 members (including regulators, national banks, banks, insurances, etc. ), we push the knowledge with the industry every year and can sometimes assume quite good, what solutions are required in the market,” added Sandro. Commenting on disruptive technologies like AI and deep learning, Sandro said “I see the technology in many industries and applications are just in the beginning. Of course, there will be a reduction of younger companies in due time offering AI solutions since many of them just apply software without properly developing the technology. But those companies that use AI correctly will clearly grow and develop amazing applications. Disruption is not the correct term for many applications. I see it more as a complementary technology providing better user experiences, better insights and analytics for institutions”. AAAccell has been recognized by esteemed organizations globally for innovation and business excellence. Below are a few of the significant achievements. Sandro believes the beginning is never a walk in the park even if you have very good solutions, people, networks, environment etc. After we proved traction in the market, it became much more convenient. “Further, we always reflect how complex we shall engineer the solutions. You may find easily many tech companies trying to develop the most advanced technology, but the market is not ready to pay for it. So, we sometimes, need to find the right level of complexity and market readiness/costs”. Deep learning extracts insights from massive data to unravel complicated challenges facing the financial industry including fraud prevention, enhancing predictive capabilities, and improving customer service. One of the biggest benefits of deep learning is its ability to learn and get smarter. As a result, understanding its potential and its limitations across the value chain are critical. “We hope for the best and prepare for the worst. But yes, we think we are in a good spot with our company and our solutions. Regarding the financial service industry, there will clearly be many challenges, and changes required in business and operating models, as well as the way clients are served, but after all, I think it will further grow. The financial service industry is essential for the well-being of any economy,” he said.